World-class professional racers proved that KMC Chain provides the right DNA leading to the championship! Next to our champions, it is important to offer a chain for all kind of riders. 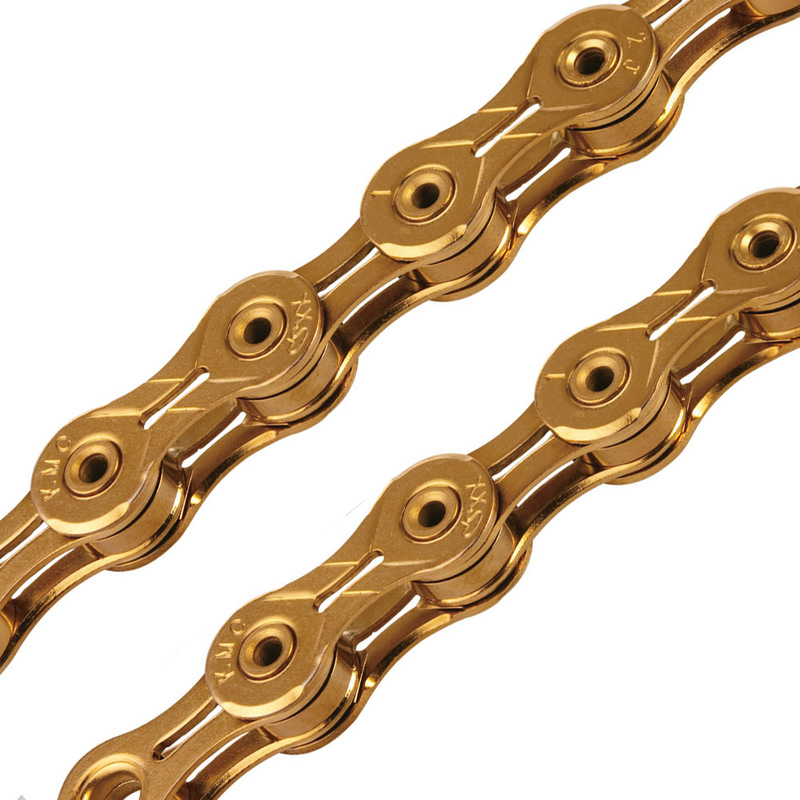 KMC's 11 speed chains are designed to work perfectly on Campagnolo shifting systems. We have the perfect chain for all type of riders. KMC's X11 series offers great advantages on your Campagnolo 11-speed system, such as very high durability, super light weight and easy to mount connecting link. A great chain, expensive but if you want the best then get the SL version, if not racing then maybe save a bit of dosh and get the EL version which is just as good but cheaper. Easy to fit if you have the recommended tools. Light, durable and looks awesome...Stand out, don't blend in! The better chain in my opinion for its coating & ease of installation. KMC make the best chains. Smooth shifting light weight and nice finish with the gold. Works well on my 11 speed Ultegra set up. Fantastic light chain. Highly recommend. Good chain. This was my 2nd order. The one I have is still doing well after 1-year. Very light-weight and longer durability. It's difficult to go back to normal silver chains after use this one. The best chain IMHO for value/weight and performance. The Ti-N coating does an excellent job at preventing corrosion having used one on my commuter all winter. Super light and very durable too. Gold version looks really cool too! Brilliant product at a very good price. Lighter than the stock chains like scram etc. and shifts just as well. Awesome chain looks great & shifts as well as a campy or shimano. Great alternative option instead of the usual shimano dura ace chain. Very light and strong, recommended for shimano and campy after looking the spec up on the KMC web site, No issues whatsoever, smooth gear change every time, Merlin price can't go wrong. This Chain is quite beautiful gold color. The weight of this approximately 240g. Missing link was too tight to connect by hand. Before use of this, you should connect missing link only.